Description: . Only the fiercest pirates are brave enough to wear feathers with their skulls and crossbones, and Boxer502 knows it! 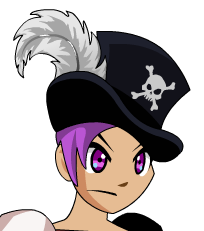 Also see List of all Naval Tophats.